Everyone loves going on a vacation, Right? We already know that picking your favorite place for vacation is brainstorming, but packing all your fashionable outfits is not difficult. 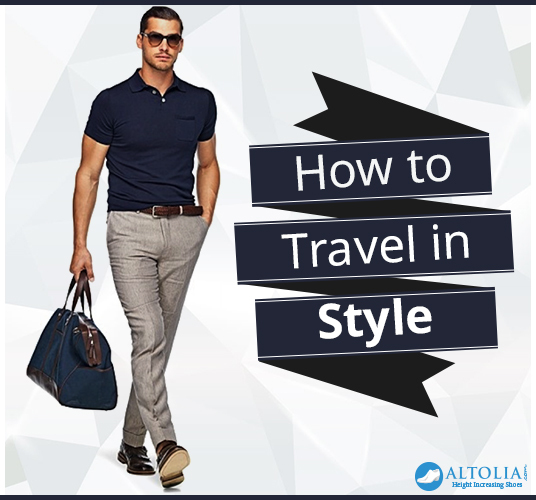 In our guide, we have listed down some fashion tips for all the vacation lovers so that you can enjoy every minute while looking stylish. For trekkers: Depending on your location, opt for track pants or shorts. Cotton T-shirts, socks, colored pullover, jackets, fleece, and sunglasses are always needed. But if you are planning to track at high altitude, the go for mufflers, gloves, and woolen hats. Choose accordingly. For beach: As the city goes at 45 degrees, it's time to hit the beach and enjoy the cool weather. From breezy kaftans, sarongs, shorts, hats, and sunglasses are the options you need to pack for your beach vacation. For snow lovers: Styling for this aspect means a fitted pair of denim with a full sleeved warm shirt, mufflers, and pullovers and of course boots. It’s not mandatory to keep a fashion appeal by wearing your favorite shirts and shorts but with warm clothes too you can create a fashion statement. Most importantly, choose your boots which have efficient grip. Always follow the concept of mix matching even if you are buying online or offline. Start buying basics and then mix with your outfit. Spend your money on quirky accessories which can be worn on occasions or any formal events. Printed and colorful scarves we can't forget, they take less space in your closet or bag and secondly it adds oodles to your overall look. Invest in buying hats but not too expensive. Go for some neutral color jackets and woolens. So, pack your bag, take your favorite pick of destination and be stylish. No matter what the place is, you need to keep your everlasting charm forever.